Christine Middleton is a writer of Life Story Musical Theatre Productions that document real historical journeys of ordinary people living lives of adventure, joy, heartache and endeavour. 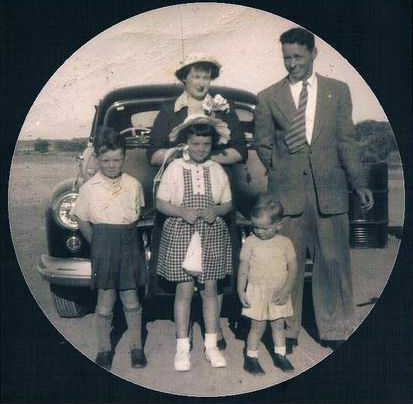 Sheila was an Australian Town Girl who married her Man of the Land in the early 1940's. Cooking for shearers, coping with the harsh outback heat, flies and droughts, Sheila travelled side by side with her Farmer husband. Always interested in entertaining and fine food, Sheila at the age of 60 yrs, opened a homestead restaurant on the plains, continuing the tradition of "Bush" hospitality to the local district and visitors from afar. This true Pioneering woman ran her fine dining restaurant for the next 15 years. Click HERE to View Promotional DVD of "Scones, Lamingtons & Chocolate Roll" recorded live at The Potato Shed Performing Arts Centre Drysdale. "HIS MOTHER'S SON - THE STORY OF ELLEN KELLY"
Ellen Kelly, mother of Edward "Ned" Kelly was a strong, resilient, colourful Australian Bush Pioneering Woman. Her remarkable story is brought to life through Moving Images, Story, Song and Poetry. A story of tragedy, love and triumph. Described by audiences as "Fantastic, Compelling & Poignant", the story of Ellen Kelly was selected for Showcase 2014 by Regional Arts Victoria. Click HERE to View Promotional DVD of "The Story of Ellen Kelly" filmed live at The Courthouse Arts Theatre, Geelong. 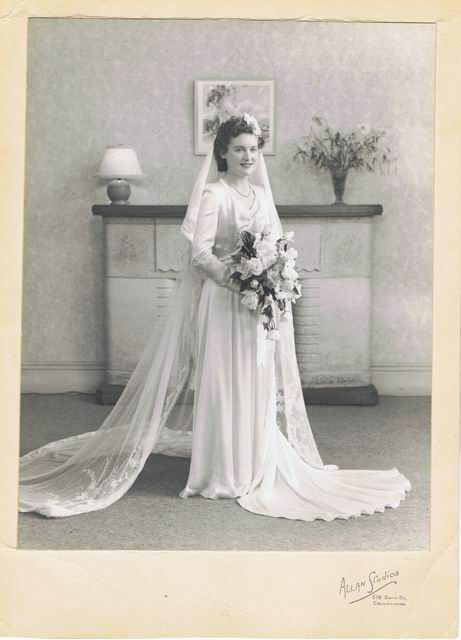 Sylvia Mary Middleton sailed from Scotland to Australia in 1946 with nothing more than her Trunk, a Wedding Cake and three bottles of Malt Whisky. She was to marry her Aussie Flyboy. This Production is a tribute to the Author's Mother and the thousands of other Women who travelled to Australia Post WW11 to become War Brides. Described by Audiences as "Spellbinding, Outstanding & Wonderfully Entertaining", Memoirs of a Scottish War Bride was selected for Showcase 2014 by Regional Arts Victoria. WW11 broke out in September 1939. 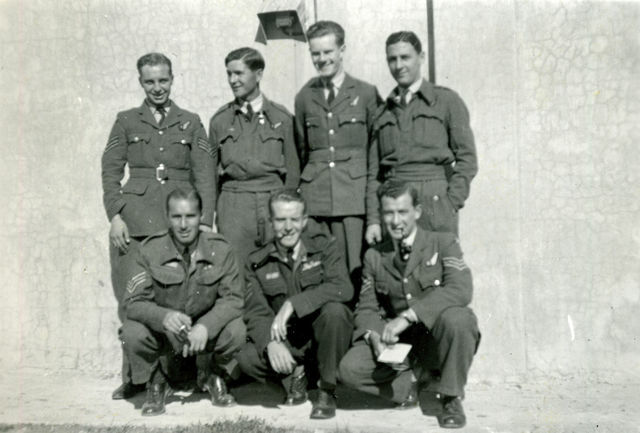 Thousands of young Australian Airmen served in England, the Middle East and Burma. 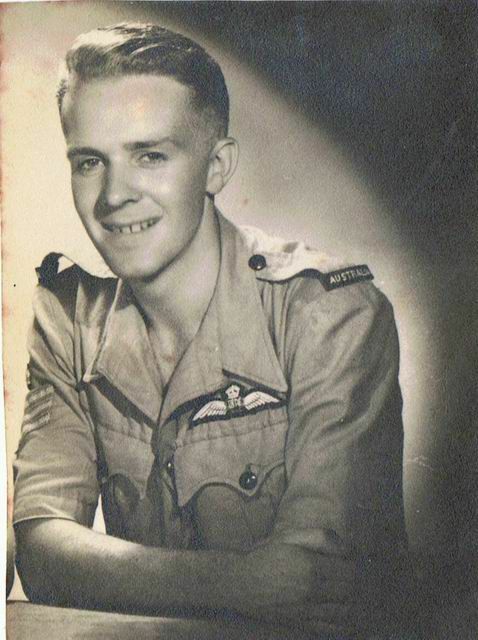 "Aussie Flyboy" is the story of one young Airman, Rex Tate. Sequel to the very popular "Memoirs of a Scottish War Bride", Aussie Flyboy is a wonderful story of Courage, Adventure, Romance and Comradeship. 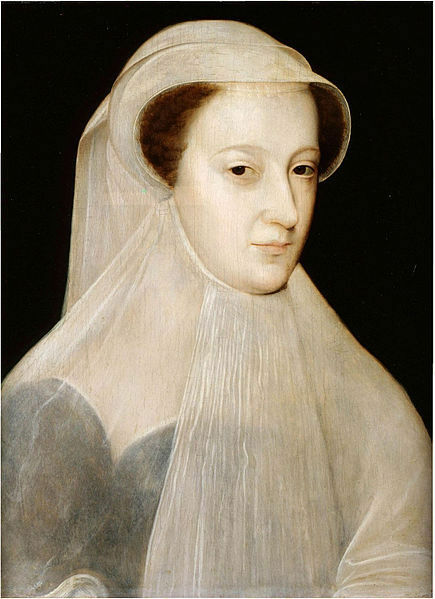 In 2011, Christine Middleton travelled to Scotland and France and followed in the footsteps of this extraordinary Queen. A Musical Theatre Story of Survival, Romance and Tragedy. Journey through Mary's extraordinary life through Story, Images, Costume, Song and Poetry. 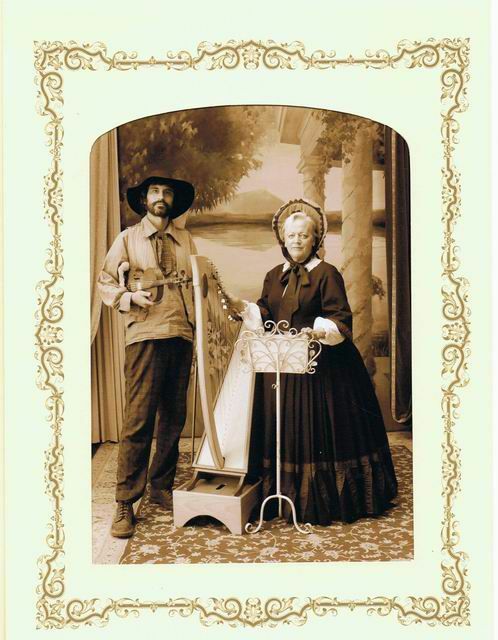 Be swept up into 15th Century France, Scotland and England by the beautiful music of Harp and Violin. "My name is Mary Devine. My husband is the Senior Sergeant of Police of the Jerilderie District. This is a photograph of my husband and I taken outside the Jerilderie Cobb & Coach Office taken by a travelling photographer passing through town. 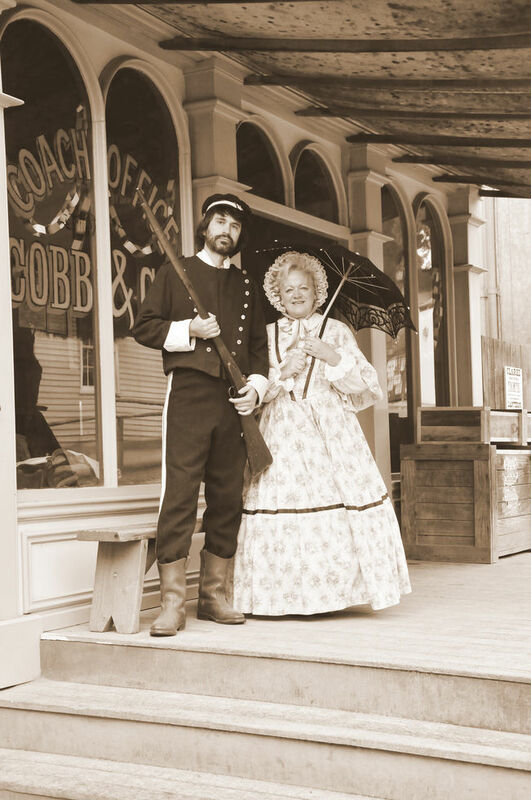 If someone had said to me that I would be walking down that same street sometime later, with a member of the Kelly Gang dressed in my husband's uniform, I would have dismissed it as "Wild Fantasy". From Saturday evening of the 8th February 1879 until Monday evening on February 10th, 1879, the Kelly Gang carried out an audacious raid on the Town of Jerilderie, robbing the Bank of New South Wales of 2140 pounds, holding more than thirty residents hostage, locking the police in their own cell and where Ned Kelly attempted to have his famous "Jerilderie Letter" published. Written, produced and performed by Christine Middleton, this 90 minute Multimedia Production has been described as a "superb drama".